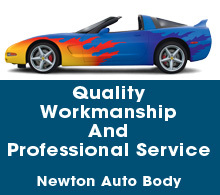 Newton Auto Body is an auto body repair shop in Newton, NJ. We offer professional auto body painting and restoration services at reasonable rates. Contact Newton Auto Body today at 973-300-3355 for more information.